Buying wholesale electronics is not only a matter of choosing the right brand. Obviously, this is an important aspect of the deal, but not the only one. Another thing is the grade of wholesale electronics You buy, and You search for. Below You will find some important information about 4 basic grades of wholesale electronics. In most cases, You will buy them from the official distributor of the certain brand. Clearly, brand new wholesale electronics are the basic type of merchandise for most of the retailers and wholesalers. The most important thing, is that they are easy to retail, because of the pristine boxes and manufacturers’ warranties. Nonetheless, since the margins on electronics are pretty low, You have to take care of the deals’ volume, in order to maintain a reasonable earnings. The basic difference between used and refurbished wholesale electronics, is the source. 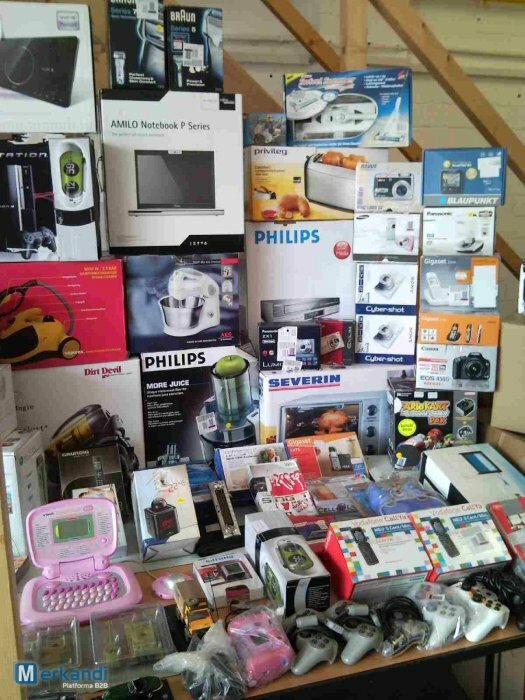 Used wholesale electronics are mostly supplied by independent wholesalers, liquidators and auctioneers. The stocks will include ex demo and ex lease wholesale electronics at most, and the warranties’ periods will be rather short, i.e. 30 days or 3 months. In contrary, refurbished wholesale electronics are usually sold by authorized and certified reconditioners of the certain brands. In most cases, You will be given up to 12-monts warranty, because the whole equipment have been fully tested and fixed, and now it makes it’s way to the retail again. Obviously, refurbished wholesale electronics are usually more expensive, than ex demo and ex lease wholesale electronics.